Redhaven Care Homes provides one of the most comprehensive and cleanest facilities for assisted living in OKC. Redhaven is the most convenient and professional option available to take care of your senior family members when you just cannot find enough time to give them the full amount of care that they need and deserve. Assisted living entails providing support to people who are of an advanced age and unable to meet their daily requirements without aid. All of the residents of an assisted living facility are provided with assistance in a myriad of convenient ways. What Are Some Common Misconceptions About Assisted Living? 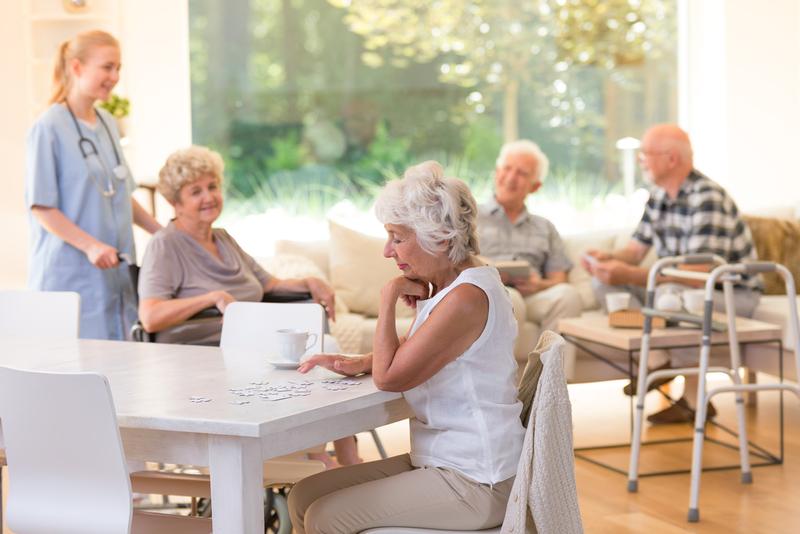 Many people believe that an assisted living facility is not a good environment to be in. In fact, at the very start of assisted living, seniors were asked if they would like to join the new community, and on their affirmation, they all lived together amiably and comfortably all while being taken care of by staff who ensured that the needs of the residents were met. The concept of 24-hour support, nutrition and physiological care came in much later and was considered auxiliary before it became a part of the main branch of assisted living. Which Advanced Stages Are Also Taken Care Of? When people suffer from long-term and incurable ailments such as diabetes or Parkinson's, it can be difficult for them to go through their daily routines without much-needed support and aid from assisted living staff. For elderly individuals at such advanced stages, staff provide special care and consideration to ensure smooth functioning of their daily lives. They are provided with extra assistance in which other members are also sensitized about the drawbacks and challenges of their illness so as to help them prepare for and cope with any problems that arise. Is Redhaven Care Homes a Good Place for an Elderly Person to Live? Redhaven Care Homes is indeed a convenient, relaxing, social and cheery place for an elderly person to live and pass his or her sunset days in the company of amiable fellow residents and caring staff. Residents have the liberty to ask for any kind assistance that is practically possible and can be assisted with day-to-day routine tasks such as climbing a staircase, taking a bath or any other task that may be subjectively difficult for them. Each resident also has ample opportunities to mix with the company of other people who are also living there and share stories, discuss common interests and generate lasting friendships with them. The services also extend to providing critical care support through quick transport to a medical facility where the resident can receive any necessary emergency care. What Is the Future of Assisted Living At Redhaven Care Homes? At Redhaven Care Homes, assisted living in OKC is found to be at its finest and most professional. The staff is very helpful, understanding and professional, and the expert team of doctors and administrators is conveniently available to provide any kind of assistance asked of them. This is definitely the place to go to if you are looking for assisted living in OKC.